SCARBOROUGH — The turmoil erupted in February, when the well-liked high school principal suddenly resigned, then claimed he had been coerced by the superintendent and decided to fight for his job. Students, parents and teachers rose up in protest, organizing a campaign to keep the principal, remove three school board members and force the relatively new superintendent to resign instead. The clash drew national attention in March, when Superintendent Julie Kukenberger, responding to complaints that some students felt pressured to sign recall petitions, tried to halt a voter registration drive at the high school. This month, the townwide battle turned ugly as police investigated a threatening and defamatory letter sent to Kukenberger’s husband, five board members and the town manager that suggested someone had listened to conversations in the couple’s home. The turbulence rocking this affluent coastal town has baffled locals and outsiders from the start, in part because neither the superintendent nor Principal David Creech will talk openly about the fateful meeting that prompted his resignation. It’s also a head-scratcher because Scarborough, a Portland suburb of about 20,000 residents, has one of the best school districts in Maine, with 2,900 students, a history of champion sports teams and a high school that’s ranked No. 6 in the state by U.S. News & World Report. Residents say they’re justifiably concerned. Interviews with students, parents, teachers and others on either side of the dispute, as well as documents, reveal that the controversy grew from smoldering concerns about two relatively routine policy issues: a change in school start times and a new proficiency-based grading system. The situation exploded when the looming loss of Creech united and mobilized people with divergent gripes about district leadership. Now, even as the two policy matters have been resolved, the town faces a bitter recall election in May and something of a cage match between the superintendent and the principal. Only one of them can survive. Whether the district can emerge from the fight without suffering lasting damage is a grave concern for many. At the center of the storm is Kukenberger, 37, an earnest first-time superintendent and former elementary school teacher and principal who describes herself as highly self-motivated, not afraid of a challenge and eager to embrace the latest educational research and trends. 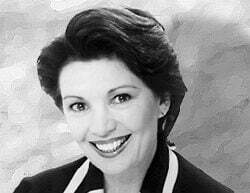 Critics say she’s inexperienced, uncompromising and disregarding of experienced staff members. Less than two years on the job, she’s married, has a 4-year-old daughter and successfully defended her doctoral thesis at Boston College in March, shortly after this crisis began. Kukenberger said she took the superintendent’s job because she liked Scarborough, its schools and its forward-thinking school board – and she still does. After becoming a lightning rod for a wide variety of complaints in recent weeks, she accepts any blame or kudos for where the district stands today. “As superintendent, I feel that I’m responsible for all of the good and the bad that comes with a decision or anything that’s being implemented,” she said in a recent interview. Kukenberger retains the public support of some community members and the school board, which issued a statement calling her an “impressive educational leader” and a “tireless advocate for the students,” among other superlatives. Kukenberger, who previously worked in Massachusetts and New Jersey, also is well regarded by her peers in the Cumberland County Superintendents’ Association, said South Portland Superintendent Ken Kunin. Also in the spotlight is Creech, 55, who has been Scarborough High’s principal since 2013. He lives in Kennebunk with his wife and two teenage daughters, and he was a finalist last year for the principal’s position at Falmouth High School, ranked No. 2 in Maine by U.S. News. Though publicly silent since February, Creech has indicated through his wife’s Facebook posts, his lawyer’s statements and other supporters that Kukenberger forced him to resign because he wasn’t “a good fit” for the district. He declined multiple requests to be interviewed for this story, even to discuss school policies. 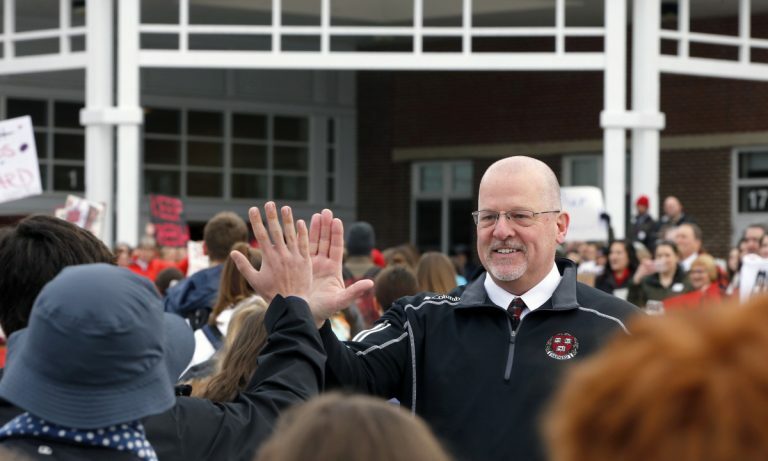 Despite keeping a low profile in recent weeks, he has drawn vocal support from a contingent of community members, including parents and students, who welcomed him back following his resignation debacle with cheers and high-fives. Senior class officers described Creech as hands on, relatable and genuinely interested in their lives. They blamed Kukenberger for failing to compromise on the disputed policy changes and on Creech’s reinstatement. One of Creech’s strongest supporters is Thor Nilsen, a Scarborough resident and recall leader who had a long career as a teacher and athletic director. He worked with Creech in Kennebunk and Scarborough before fully retiring in 2016. Two policy disputes were simmering just before Creech submitted his resignation letter on Feb. 16. Kukenberger was moving the district toward a proficiency-based education model, designed to meet the state’s requirement to issue proficiency-based diplomas reflecting a mastery of certain knowledge and skills. Many high school teachers said they felt excluded from the planning process and ignored when they flagged the limitations of the 1-4 grading scale for high school students hoping to get into top colleges. They said it lacked the nuance of the traditional 1-100 grading scale that recognizes slight differences at each performance level. Last June, lead teachers pitched a hybrid grading system that would combine the two scales and asked Creech to represent their concerns. On Feb. 6, when their concerns about the 1-4 grading scale remained unanswered, the lead teachers sent a letter to Kukenberger, again pushing a hybrid grading system. At the same time, some people were fighting new school start times that were approved by the board last spring and set to take effect in August. Like other districts in the area, the school board had responded to research suggesting high school students with later start times have improved mental health and reduced rates of automobile accidents, truancy, absenteeism and substance use. While the new schedule would have allowed high school students to sleep later, it would have required younger students to start earlier and disrupted traditional morning and afternoon schedules. Parents, teachers and students were divided over the benefits of the pending changes. 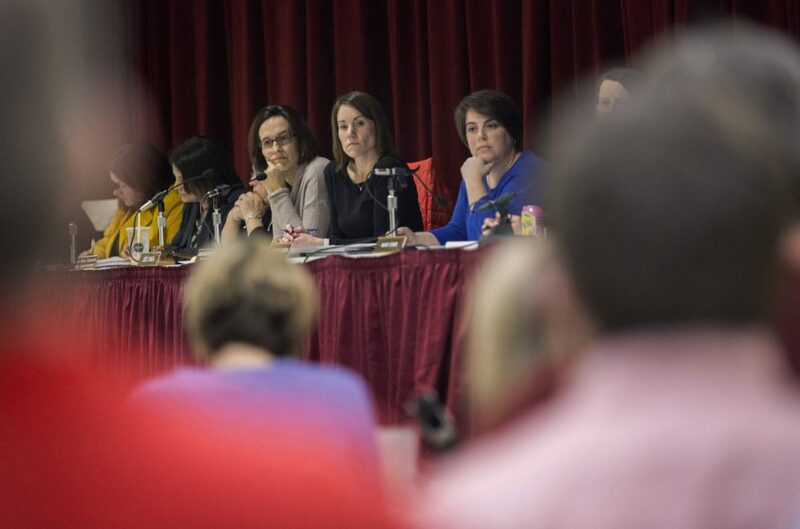 The teachers’ union came out against the new schedule at a volatile school board meeting the night of Feb. 15. The timing of Creech’s resignation – submitted the day after the meeting – led some to assume it was because he opposed the new start times. Creech declined to discuss his thoughts or actions on either policy, so any connection to his dismissal remains unclear. Only two people know exactly what happened when Creech and Kukenberger met at 10 a.m. Thursday, Feb. 15, but it has turned out to be a watershed moment in both of their careers. While neither has spoken publicly about what was said, it’s widely understood that Kukenberger told Creech that, unless he resigned first, she planned to recommend to the school board that his contract not be renewed in June. William Michaud, Creech’s lawyer, said Kukenberger told Creech to submit a resignation letter by the following Monday or face nonrenewal. He also said the message came out of the blue and likely was because the principal backed his staff on proficiency-based grading and new start times. “I guess he probably brought some messages to the top that maybe they didn’t want to hear,” said Michaud, who was Scarborough’s superintendent from 2001 to 2006. Kukenberger has refused to explain fully why she decided to get rid of Creech, and she and the board have refused to accept or even discuss his decision to stay. She disputed that her meeting with Creech came “out of the blue” or that she hadn’t previously discussed issues she had with his work. State law required that Creech be notified by March 1 if his contract wouldn’t be renewed. Many principals in his position might have gone quietly, perhaps taking the opportunity to find another job and resign rather than be fired. Creech chose another route. Astonished and upset, Michaud said, Creech submitted a resignation letter the next day, effective June 30. Though school vacation had begun, news of his decision spread through town like a marsh fire. That Saturday, Creech’s wife posted a statement on Facebook blaming Kukenberger for his pending departure. Scarborough is notorious for its bitter school budget battles, despite having a median household income of $83,306, compared to $50,826 for Maine and $55,322 for the nation. After Creech’s resignation, community outrage hit a new high. Before the weekend was out, his supporters had launched a #WeStandWithCreech social media campaign, started an online petition to reject his resignation and planned a public protest to be held at Town Hall when students returned from vacation. In March, the district’s teachers voted 185-91 that they had “no confidence” in the school board or Kukenberger; about one-third of eligible union members didn’t participate. The vote at the high school was 75-1 against the district’s leadership. Nilsen and other Creech supporters formed the Road to Renewal group and gathered 2,622 signatures needed to force a recall election targeting School Board Chairwoman Donna Beeley and members Cari Lyford and Jodi Shea. Since the recall effort began, the school board has revised the new school start times to address most complaints and the superintendent has agreed to a hybrid grading system at the high school. While it looks like the board and the superintendent finally caved under pressure, Beeley, the board chairwoman, said their goal all along was to do what’s best for students. Creech, meanwhile, is still expected to leave at the end of the school year, Beeley said. But the fight between supporters of the principal and supporters of the superintendent is far from over. It will continue through the recall election, at least, and both sides worry that the turmoil will have lasting impacts. The Town Council is expected to vote Wednesday to schedule the recall election on May 8. If school board members are removed, there’s no guarantee that new members will bring the change sought by recall supporters. Moreover, the recall effort has energized townspeople who rail against school officials for other reasons, including school budget increases. That concerns school supporters like Kueck as the school budget heads for a town vote in June.